Phoenix is the capital and most populous city of the U.S. On the 16th (Sun), see the interesting displays at Musical Instrument Museum, don't miss a visit to On The Edge Gallery, and then take in nature's colorful creations at Desert Botanical Garden. Plan trip to Phoenix with our itinerary maker to find out where to go and what to do. Perth, Australia to Phoenix is an approximately 26-hour flight. You can also do a combination of flight and bus. The time zone difference moving from Australian Western Standard Time to Mountain Standard Time is minus 15 hours. In June, Phoenix is much warmer than Perth - with highs of 49°C and lows of 32°C. Wrap up your sightseeing on the 16th (Sun) to allow time to travel to San Diego. On the 17th (Mon), get a taste of the local shopping with Gaslamp Quarter and then immerse yourself in nature at Torrey Pines State Natural Reserve. On your second day here, tour the pleasant surroundings at Sunset Cliffs Natural Park and then meet the residents at San Diego Zoo. To find where to stay, more things to do, maps, and other tourist information, read our San Diego road trip app . Fly from Phoenix to San Diego in 3 hours. Alternatively, you can drive; or take a bus. Traveling from Phoenix to San Diego, you'll gain 1 hour due to the time zone difference. Traveling from Phoenix in June, expect nights in San Diego to be a bit cooler, around 20°C, while days are colder, around 26°C. Cap off your sightseeing on the 18th (Tue) early enough to go by car to Los Angeles. 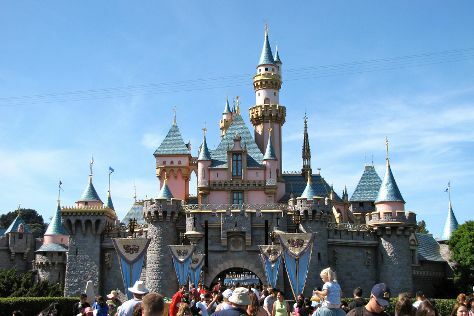 Kick off your visit on the 19th (Wed): make an unforgettable trip to Disneyland Park. On the 20th (Thu), you'll have a packed day of sightseeing: hunt for treasures at Flower Market, look for all kinds of wild species at Kenneth Hahn State Recreation Area, then browse the different shops at The Grove, and finally stop by Amoeba Music. To see ratings, more things to do, traveler tips, and more tourist information, read Los Angeles road trip planning website . Getting from San Diego to Los Angeles by car takes about 2.5 hours. Other options: take a bus; or fly. When traveling from San Diego in June, plan for somewhat warmer days in Los Angeles, with highs around 30°C, while nights are about the same with lows around 19°C. Wrap up your sightseeing on the 20th (Thu) to allow time to travel to Yosemite National Park. On the 21st (Fri), look for all kinds of wild species at Nature Center at Happy Isles and then explore the striking landscape at North Dome. Get ready for a full day of sightseeing on the 22nd (Sat): take in the dramatic natural features at Glacier Point, then identify plant and animal life at McGurk Meadow, and then take in the awesome beauty at Cathedral Beach Picnic Area. To find other places to visit, more things to do, ratings, and other tourist information, read Yosemite National Park itinerary builder . You can do a combination of flight and car from Los Angeles to Yosemite National Park in 4.5 hours. Other options are to drive; or do a combination of flight, bus, and taxi. Traveling from Los Angeles in June, expect a bit cooler with lows of 7°C in Yosemite National Park. Wrap up your sightseeing on the 22nd (Sat) to allow time to drive to Carmel. Carmel-by-the-Sea, often simply called Carmel, is a city in Monterey County, California, United States, founded in 1902 and incorporated on October 31, 1916. 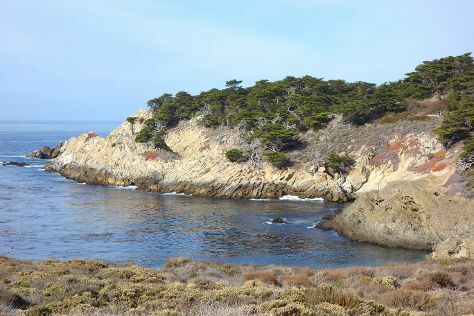 Kick off your visit on the 23rd (Sun): hike along Scenic Road Walkway, then immerse yourself in nature at Point Lobos, and then look for gifts at The Cheese Shop. For ratings, photos, and more tourist information, read our Carmel itinerary planning app . Traveling by car from Yosemite National Park to Carmel takes 5 hours. Alternatively, you can do a combination of car, flight, and bus; or do a combination of car, flight, shuttle, and bus. Traveling from Yosemite National Park in June, expect nights in Carmel to be somewhat warmer, around 13°C, while days are little chillier, around 23°C. Finish your sightseeing early on the 23rd (Sun) so you can drive to San Francisco. Do your shopping at Ferry Building Marketplace and Union Square. 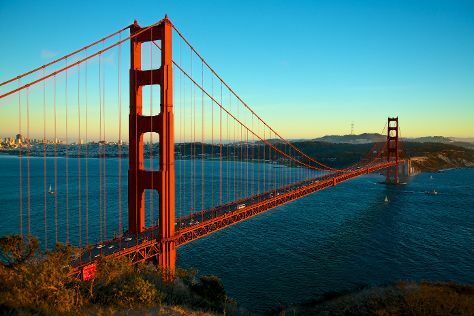 Next up on the itinerary: take in the views from Golden Gate Bridge, shop like a local with Ghirardelli Square, enjoy the sand and surf at Fort Funston National Park, and identify plant and animal life at Don Edwards San Francisco Bay Wildlife Refuge. You can drive from Carmel to San Francisco in 2.5 hours. Other options are to do a combination of bus and flight; or take a bus. In June, daytime highs in San Francisco are 25°C, while nighttime lows are 15°C. Finish your sightseeing early on the 27th (Thu) to allow enough time to travel back home.